Jebao is making its first foray into the protein skimmer department with the release of their DC pump powered D700 Curve Skimmer. Based on the same controllable pump line we’ve seen over and over again from RLSS, Jebao isn’t doing anything groundbreaking with the new D700 and subsequent models, but they are bringing in a DC controllable skimmer at a sub-$300 price point. The D700 Curve is priced at $275, and is fitted with an under mount DC3000 pump and all of the usual bells and whistles we’ve come to expect on cone shaped skimmers. The pump is adjustable to six different speed settings, which can be controlled via the included controller or a properly equipped aquarium controller. Additionally, the DC3000 has a soft start function and a feeding timers that shuts it down when triggered. 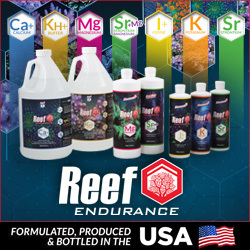 Reef Breeders, who are marketing the skimmer, state that the D700 is suitable for medium to well stocked tanks up to 200 gallons in total water volume. 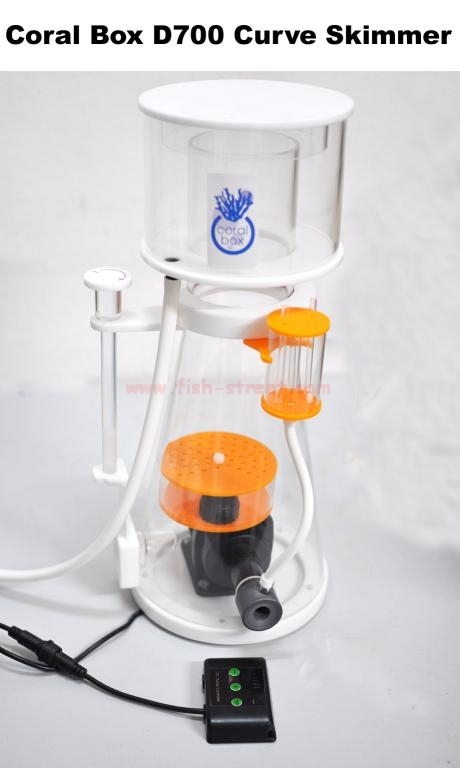 The skimmer has a base diameter of 8 3/4″ and a height of 21″ with the cup. While the D700 is immediately available, future models will also fill out the line. We don’t know how many or what sizes will be available, but we’ve read that at least one more model will come in at $500. Brandon, I would suggest you tell your readers to stay away from these Jebao skimmer pumps and return pumps. These pumps do not last. We replaced dozens of them with Gen 2 RLSS Waveline pumps under warranty and we even replaced them after the warranty period was over just because we felt it was the right thing to do. Companies were rebadging these pumps under the names Speedwave and Diablo also. These companies stopped carrying them because they fail after several months…not several years like other brands of pumps. Just my 2 cents to try and help consumers. Don’t know about their skimmers but I have two of the Jebao Ecotech knock-off’s and love them. The pumps work as designed, and once broken in, are much quieter than Ecotechs I’ve heard. You are correct…as I stated above. Have the RLSS 8i and it has a 6000 pump but says waveline and took it apart to clean and it is superior to a quite a few name brand units construction wise. The dual size pins on the impeller make a big difference in tiny bubbles = top performance. Very noticable.